It’s summer fever for IT vendors and customers. Microsoft announced Windows 10, Google announced the new Android a couple of weeks ago and Apple just announced the next iOS and OS X versions. But, the best news is probably about the platform you use everyday and really care about: eFrontPro has been updated to 4.2.0. Ever since we introduced eFrontPro as a modern, future-proof base to build upon, we’ve worked hard to get major updates full of new features coming your way with impressive frequency (and don’t let the version numbers fool you, what we call 4.1 or 4.2 other vendors would have happily called 5 and 6 feature-wise). eFrontPro 4.2.0 takes the instructor led training (ILT) features we’ve introduced in earlier eFrontPro versions to the next level, giving physical world trainings and webinars the same first class status online courses had. Physical world training is represented with a Training Event, which is a special form of Lesson, and can have one or more Training Sessions, each being led by one or more Instructors and taking place in its own location and/or date/time. eFrontPro 4.2.0 is even smart enough to prevent you from accidentally assigning the same location to more than one sessions at the same date/time (resource sharing prevention). To handle enrolling and capacity issues, eFrontPro offers automatic waitlist management and automatic iCal invitations (compatible with MS’s Outlook, Apple’s Calendar and most popular calendar applications).­ ILT sessions are also integrated with eFrontPro’s own calendar, so that a user’s upcoming sessions automatically appear there too. Instructors can pre­-book seats, but it’s also possible for students to self-­enroll to their preferred training sessions, with successful attendance leading to automatic lesson/course completion and certification. Oh, and for those of you that have configured BBB or Webex in eFrontPro, you now get one-click setup of webinars. eFrontPro now integrates with the OpenSesame service, a huge marketplace of SCORM ­compatible content that you can purchase and add to your eLearning offerings. Administrators can browse the whole OpenSesame catalog from eFrontPro’s management interface, and purchase any available content with one click. eFrontPro takes it up from there, automatically converting purchased content to Lessons that can be allocated to courses at will. If you’re interested in more details about working with OpenSesame material in eFrontPro, stay tuned as there’s an upcoming post dedicated to this alone. Upgrading just got a lot easier with 4.2.0, as installing the latest version from now on just takes a simple click on the “upgrade” button within the management interface. This makes it dead simple to stay up to date, which means you get all the new features sooner and always have the latest and more secure version installed. eFrontPro 4.2.0 comes with a powerful engine that can periodically check for CSV files in specific folders, and update its own data, making integration and syncing with external sources as easy as pie. Here’s how this works:­ the administrator creates import tasks that are ran periodically (e.g. every 24 hours). When the task is run, eFrontPro looks for data files in a predefined folder and imports them, just as if the administrator had manually used the “Import from CSV” option. eFrontPro keeps detailed reports for each task run, and notifies the administrator if anything went wrong (e.g. data mismatch). A new, easier to use yet more powerful calendar UI is available in the full calendar page. Not the tame, humble calendar you once knew, this one supports drag-and-­drop handling of events and one-click export of its data in iCal format (suitable for importing in Outlook, Google Calendar etc.). eFrontPro 4.2.0 also brings back some advanced question types you might remember from eFront 3.6: HotSpot and Matrix. HotSpot allows the professor to upload an image and specify parts of it that need to be clicked for the answer to register as correct. Matrix questions are based on a MxN table (a grid, or “matrix” in math terms), where the user must pick the correct rows and columns. Besides the dead easy one-click updates we’ve already mentioned (which will ensure you always have the latest security updates installed), eFrontPro 4.2.0 brings a few more security enhancements. First, there’s a new Security tab in the Settings page which will make configuring the various security options easier. Then, there are (even more) elaborate password rules you can set, including password expirations, the option to forbid password reuse, account lockup after several unsuccessful login attempts, etc. (all optional of course). You can also optionally enforce unique email addresses. What’s more, any security related errors are logged for later inspection by the administrator. A simple to use file library is now available in all lessons. All the professor has to do is simply drag and drop files to add them to the library, and they will be made available to all of the lesson’s users. As always that’s not all. eFrontPro also comes with lots of smaller features, bug fixes and enhacements. Dig in the new version to find out for yourself, and keep an eye open for our upcoming decicated OpenSesame post. The post eFrontPro 4.2.0 – your favorite LMS with extra awesome appeared first on eFront Blog. While tons of businesses and organizations of all kinds and stripes have embraced e-learning as the way forward for training their staff, there are still niche fields that have yet to join the revolution (except for a few pioneers). Local government is one of them. Local government, that is public administration within a given state — prefectures, municipalities, communities and so on, is no easy task. It has to co-ordinate thousands of employees, in lots of different departments and functions, and often has to do it on a shoe-string budget. Employee training, complex organizational hierarchies, and a shoe-string budget? That’s like a list of requirements for e-learning software, if I ever saw one! And while innovations can often be a hard sell in local governments (due to small budgets and conservative mindsets), by this point e-learning has already been established as an invaluable business tool, and has been adopted by companies and organizations big and small. Employee orientation is the task of introducing new hires to your working environment and giving them the basic information they need to start being productive, including your organization’s operating procedures and policies, restrictions and guidelines. Local government needs to do a lot of it, as its job contracts are often short term (one year being the norm in some countries), and there are always new employees brought in. Automating employee orientation in this case is a no-brainer, and e-learning software, such as the eFrontPro learning management platform (LMS), is the best option for this. It sure beats tossing the relevant information in some intranet page, or handing out instructional printouts and xeroxed copies, and expecting employees to go through them. That’s because an LMS lets local governments organize their orientation material in accessible chunks (lessons), has support for including third party information (videos, wikipedia articles, presentations, etc), and includes tests and auto-grading, which help access employees’ training progress (from tracking if they bothered to go through the training in the first place, to detailed grading and success scores). You also get hard proof of orientation course attendance and completion status, something which can serve as a legal proof that your organization has indeed taught its staff their legal obligations, sexual harassment laws, etc, (something extremely useful in cases of legal dispute). New or old hires both need training, including frequent re-training as your area’s needs and your local governments structure or policies change. You could ask some of your employees to train the rest – something which will disrupt both the trainers and the trainees’ normal workflow. Or you could invest in an e-learning solution, to help train your employees at their own pace, with no disruptions to their everyday operations. In this regard, one of the benefits of e-learning is that it works just as well for local governments of any size, from the smallest municipality to the largest federal states. Even better, it achieves all that with minimal purchase or subscription costs, whether it involves 10 or 10.000 employees (in fact we’ve seen adoption from multi-national organizations with hundreds of thousands of employees and branches all around the world too). The cost and time savings compared to something like traditional classroom-based training for 100 people (much less, 10.000), are so large it’s not even funny. Again, of course, the same benefits as with e-learning based employee orientation apply: you get quantifiable information and statistics for your employees progress and understanding of the material. eFrontPro, for example employs a comprehensive Reports feature to help you stay on top of your employees training. It’s good for the environment too — helping you score “green government” points and reduce your carbon footprint, as you can update all your courses without wasted paper and dead trees, re-use and expand content as you see fit, and share courses between different departments or branches. Are there a few employees in your organization whose experience is crucial for its smooth running? Ever thought what would happen to their knowledge if they retire, quit or get fired? It could be John from Accounting, the only one that knows certain facts about how you collect local taxes. Or it could be Jill from IT, the only person in the municipality that can fix your email server when it goes down. An e-learning solution can help you store all this information in a formalized and easily accessible way. And it’s even better than a document management system, because you not only get a document library and a reference source (available throughout your organization), but you can also use all this information to train new employees or teach existing employees. So that’s it. A few basic reasons why local governments should look into e-learning solutions in general and, if we may say so, eFrontPro in particular. Whether you are a small municipal office with 50 people or a huge federal prefecture with 20.000 and multiple branches, eFrontPro has the tools to help you provide specialized training per branch, department, group of employees, skill-set and even language. We have thousands of satisfied customers, including several multinational companies and local government organizations, we frequently trump the competition in industry reviews (both in features and ease of use comparisons). Take the short video tour, request a demo and tells us what you think. We’ll be glad to help you bring your local government practices regarding employee training and onboarding to the 21st century. The post e-learning for local governments with eFrontPro appeared first on eFront Blog. eFrontPro had a new major update recently, with version 4.1.0 bringing a load of workflow updates, user requested features, bug fixes and enhancements. 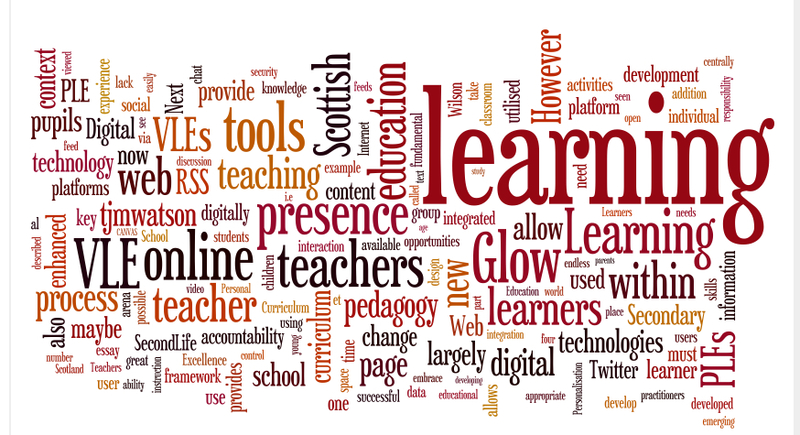 Among them is the new Curriculums feature which (as the title subtly suggests) will be the focus of this blog post. Curriculums in eFrontPro are an organizing unit for your e-learning content, in addition to the already existing Branches, Groups, Audiences, Skills, etc. Like their namesake in physical educational institutions, Curriculums serve as a way to organize your courses into a single package (e.g. a mathematics curriculum would consist of courses such as algebra, trigonometry, calculus etc. Similarly, a business curriculum would consist of business, economics and finance related courses). Organization in eFrontPro however doesn’t stop in being merely a conceptual way of categorizing your courses and related information. It’s also the core mechanism behind eFrontPro’s automated notifications, mass actions, reporting and filtering facilities. This means that you can use eFrontPro’s organizational grouping units (Branches, Audiences, Groups, Categories and the like, including curriculums as of the latest update) to send automated notifications related to a grouping, perform mass actions affecting all its members at once, view reports aggregated for the grouping and filter information based on it. In addition, you can also buy and sell complete curriculums (sets of related courses) and award certificates upon completion of a curriculum. Curriculum creation and management is handled from the “Curriculums” section of the admin user interface. From there you can see a list of all the available curricula and hit the “Add curriculum” button to, err, add a new curriculum. The basic information required to add a new curriculum is its name and the category it belongs to (e.g. Mathematics, Business, etc.). You can also add an optional short description. Clicking on the “Advanced” link shows a few more options, like a short code you can use to identify your curriculum (e.g. MATH-01), the branch(es) it belongs to and whether it’s active or if it should be displayed on the Catalog. Finally, you can set a base price for selling the curriculum, and define a Certificate that will be awarded when a user completes the curriculum. After you have created your curriculum you can assign courses and users to it. If you have created groups for your users (as you should) you can also enroll all users belonging to a group to a curriculum with the “enroll members to curriculums” mass action. As we already mentioned, curriculum related events (e.g. a user completing a curriculum) can also be used to trigger notifications. You’ll find the relevant options in the Events list when creating a new Notification. If you’re using eFrontPro to sell e-learning courses then curriculums provide a handy way to group together related courses to sell as a bundle. Users can buy one or more curriculums, effectively enrolling and buying all the separate courses that the curriculum consists of. And as with the other groupings in the platform, the Reports functionality in eFrontPro allows you to have insight into all curriculum related statistics and events. You’ll find those reports in the Curriculums tab of the Reports page, where you can select the curriculum you’re interested in (e.g. Mathematics, First Semester, etc) and even drill further down with additional filters for branches, groups, audiences etc. to see just the information you’re interested in. And this completes our course on eFrontPro’s Curriculums functionality. You wont be awarded any certificates for completing this blog post, but you’ll nevertheless be ready to take advantage of this new powerful organizational feature in your e-learning deployment! The post Using Curriculums in eFrontPro 4.1 appeared first on eFront Blog. We decided to build eFrontPro from scratch in order to replace our eFront codebase that was getting long in the tooth and to be a great foundation to build upon for the next decade. It wasn’t an easy task: we had to rewrite legacy code, to re-think the architecture and UI, to make it more modular and speedy, and to learn and adapt new technologies. It also involved a lot of hair-pulling and head-scratching, in order to come up with the best solutions to the challenges we faced. Yep, it wasn’t easy. But, as hard work is known to do, it paid off. You’ve seen it yourself, in the faster pace that major eFrontPro updates arrive, with the first one landing just a month after our first release. And then another. Well, it’s time to introduce our freshly baked latest update, eFrontPro 4.1.0, and the goodies it brings to the table. You know Branches, Groups, Audiences, and the rest of eFrontPro’s logical groupings, they are here to help you organize your e-learning deployment in the way you like, and avoid repetitive manual tasks. eFrontPro 4.1 introduces “Curriculums”, a way to bundle several courses together to handle as a single package. You can offer a whole curriculum for sale (like selling courses), assign a curriculum to a user or a group, see aggregates reports for the whole curriculum and award certificates upon a curriculum’s completion. The new version builds upon the Certificate features of the previous one, adding several significant new features. Besides being able to award certificates based on curriculums (see above), you now also have the option to have self-expiring certificates that can be re-assigned automatically to the students upon (or even before) expiration. Last, but not least, we’ve also added a new reporting page for certification related statistics. To make online content creation faster and less tedious, we’ve automated content conversion by integrating EncodeMagic to eFrontPro. You can now upload all kinds of videos, audio files, presentations, etc, knowing that they will be automatically converted to formats that your users can open, with the optimal encoding and delivery for all web-enabled devices (laptops, tablets, phones etc). This version allows you to automatically create variations of your tests with the new “Randomized” question type, that can select multiple random questions from a question pool. You can select how many questions out of the pool you want to use in each test. We’ve also added question timers, for time sensitive tests, as well as the option to re-use questions across lessons. You asked for it, you’ve got it: version 4.1 adds the (not so long) awaited support for Stripe payments. If you’re running your eFrontPro service publicly, you’ll love this one: all eFrontPro URLS are now SEO friendly, for better Google placements and more traffic coming your way. Third party authentication is all the rage these days, especially from the big-3 providers (Facebook, Google, Twitter). Well, you can now let your users register and login with their Facebook account. Reports weren’t a major focus for this update, but we still managed to squeeze in a number of reporting improvements and a few new report types. Last, but not least, we revamped our eFrontPro documentation, nearly tripling it in size. Besides entries for the new features in this update, you’ll also find several mini how-tos guiding you through common tasks, answers to frequently asked questions, technical guides for installing, securing and taking care of your eFrontPro deployment. You can check the ongoing eFrontPro documentation here. Oh, and that’s not all. There’s also a tutorial on creating your own themes, for the HTML/CSS savvy types, and an API guide integrating it with your other systems and services. Finally, the documentation includes an extended Plugin Guide, you may use to extend eFrontPro to fit your needs. The post eFrontPro marches forward with 4.1 appeared first on eFront Blog. My, how time flies. It feels like yesterday when we announced eFrontPro, the newer member of our highly successful eFront product family, designed from scratch to take advantage of the newest web technologies while maintaining the ease-of-use and flexibility that eFront is famous for (only, even more so). eFrontPro was a major release that took some years in the making, and we would be justified to pat ourselves on the back and rest on our laurels for a while. Instead, we worked even harder in bringing you the first update to eFrontPro, with several new features, goodies and bug fixes. So what’s new in this update? A lot. So much in fact, that it’s more than a point update, and almost feels like a whole 2.0 release. When we wrote that eFrontPro will serve as a stable, modern, basis for the platform’s future, allowing us even faster development cycles we weren’t kidding. You can now conduct surveys and collect results automatically through eFrontPro. It’s a feature that’s a god-send for getting feedback from your users, understanding their needs and identifying problem spots and market opportunities in your e-learning offering. Not only you can now have video-conference in eFrontPro by leveraging BigBlueButton’s or Cisco’s WebEx video-conference tools, but you can also save a video-conference for later replay. Perfect for giving the opportunity to students to watch a video-conference based lesson they’ve missed, or to refresh their memory with it. Aesthetics matter. And web themes are not one-size fits all, they must match your branding ― and your audience. That’s why this update includes 10 beautiful themes to chose from. From minimal to business or fancy, now it’s your call. For those of you who swear by Excel (and you have every right to: it’s an excellent tool for data analysis and statistics), eFrontPro now allows you to export beautiful, richly formatted, Excel files showing system status, test and survey results, etc. Easier on the eyes and better at making the relevant data pop-out, our new Excel exports come with nice headings, appropriately styled cells, alternating row colors and all that jazz. This might not mean much to you, but it opens a whole new world of possibilities for those wanting to expand and integrate eFrontPro with other systems. We’ve included a full blown REST based API, so that you can connect, script and interoperate to eFrontPro from any platform or language with the ability to talk to REST services (that’s all of them). And, of course, we documented the heck out of it. So, those are the basic new features of the new eFrontPro update. There are other smaller features and changes, as well as several bug-fixes and improvements, but it would take a whole lot of scrolling to cover everything. Besides, we’re already busy, working on the next bunch of features. Until then, enjoy the update. 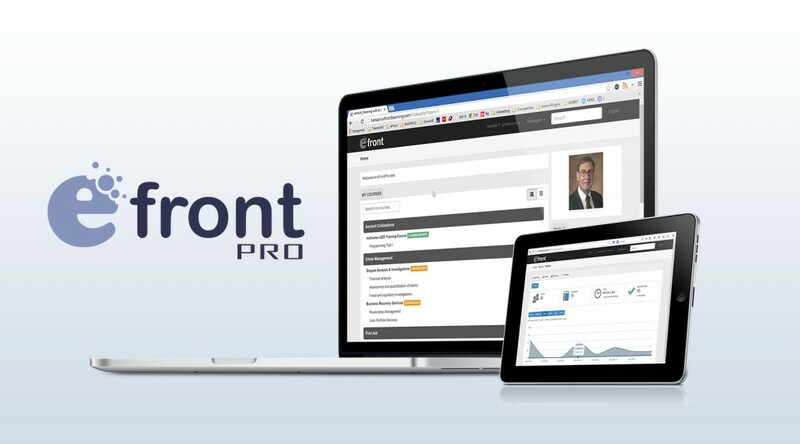 The post Early X-mas For eFront Users: eFrontPro Gets Its First Update appeared first on eFront Blog.